About ION Cafe & Bar. 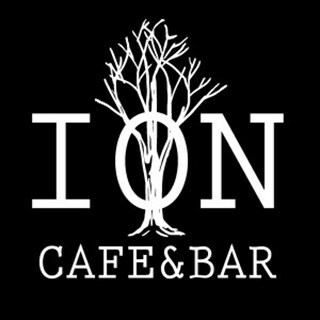 Have been here multiple times for coffee and breakfast and it has always been delicious and quick with great service. I decided to try dinner with the family. Service was a little slow, and we ended up getting our own menus from the bar after waiting 10/15 minutes. The second bottle of wine we ordered after dinner just never came and we decided to leave. There was also some confusion with the wrong platter being brought out to the table from what we had ordered which was only discovered once we had halfway eaten it. This was rectified however with some negotiating and the original platter ordered was brought out. Food in itself was good, not the best I’ve had but it was tasty and fresh. Would definitely be back for breakfast, not sure on returning for dinner. While the staff were very friendly and helpful the service was quite slow unfortunately. Otherwise a great venue with great atmosphere .... back deck is awesome! Love the food (really love the hash browns) !!!!!! Best coffee, service with a smile, delicious food. Even on such a wet day, sitting on the back deck was lovely. We had a booking of 11 people, which we do every year for our breakfast Xmas break up. This cafe was by far the most organised we have been to. All  orders come out straight away, and no one waiting for their food or coffee. We sat at the back on the balcony, which was lovely. Everyone was impressed, and will definitely be back. Best coffee! Great service with a smile. We had a Wonderful Lunch catching up with a friend of ours who is in Town for Business. Beautiful spot & Food was delicious. The shared plates were delicious and provided ample food for the 5 of us. I didn't think I had any room for dessert but the churros were a highlight. Being seated on the front deck was perfect with the cool air and scent of jasmine. The coffee was fantastic today and the meals are so beautifully presented! Cool breeze on the back deck despite it being a stinking hot day. Fans make s big difference. Good food but wasn't much to choose from. Staff was nice and service was quick. It was lovely. The beer was good but that's where it ends. The food was very ordinary particularly the pizza , I have had better from coles and the duck spring rolls were bland and the dipping sauce was bitter. The atmosphere was noisy and windy , seats uncomfortable. I would not return or recommend the restaurant to anyone. You need a decent chef. We had a scoupon voucher and initially had some issues with booking,  James and his staff were excellent in accommodating us. We dined on Saturday at lunch time. The service was great, the staff were friendly and accommodating. The food was excellent and the food around us looked great too. Enjoyed our lunch today. Will come back. Thank you. Great place for breakfast and coffees! Your staff is extremely courteous and helpful without being intrusive. Even a cold night can’t diminish an evening at Ion. The smiles and greetings from the team, along with excellent share plates made us feel warm inside and out. Great brekkie with portions that suit adults and kids. The eggs and bacon are cooked perfectly. And the team working there are happy, informative and welcoming. Wow.... The Complimentary Raspberry Chocolate Brownie was superb! Committment to quality shone through. A definite gem in Mitchelton.... Great for us as locals!